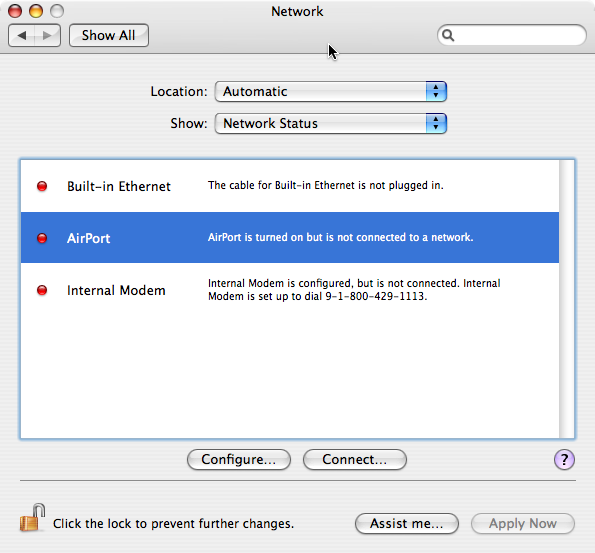 This document describes the steps necessary to use the Caltech Registered wireless network with a Macintosh computer running OS X V10.4 or later. 1. If the AirPort is not already on, pull down the AirPort menu and turn on the AirPort by selecting Turn AirPort On. 2. Select the Caltech Registered network from the available networks. 3. 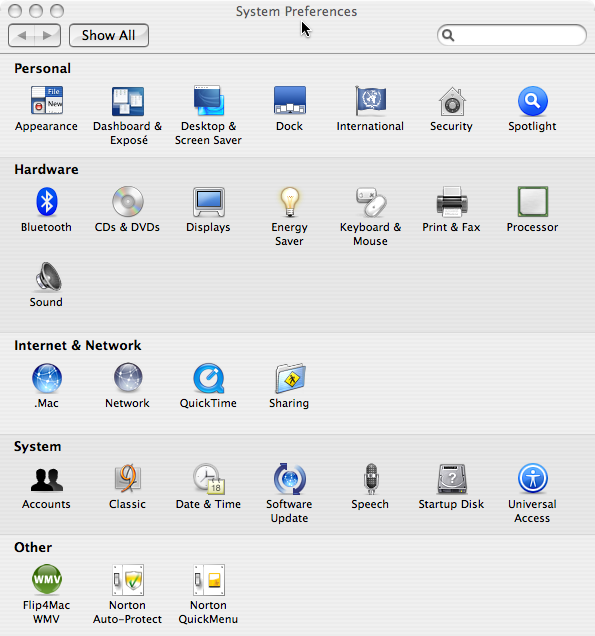 Open the System Preferences and select Network. 4. Configure the AirPort by selecting AirPort. 5. 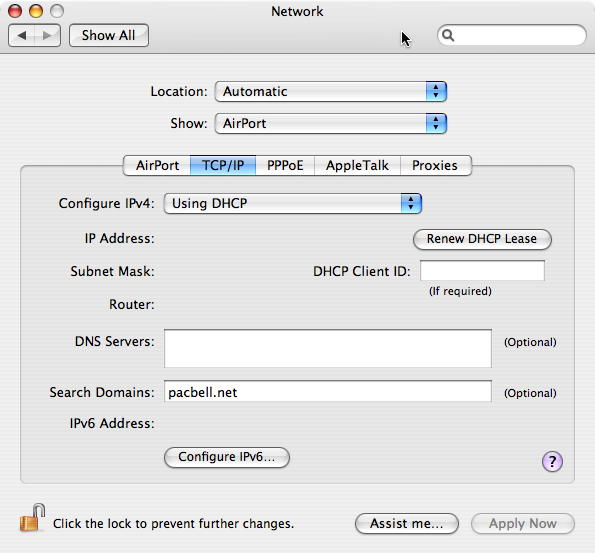 Configure IPv4 to use DHCP. 6. When successful, a valid IP address will be assigned as well as a subnet mask and router. The Caltech Registered network is ready to be used now.